The first player gains control of Aragorn. If Aragorn leaves play, the players lose the game. Action: Spend 2 resources from Aragorn's resource pool to ready a hero. The first player gains control of Aragorn. If Aragorn leaves play, the players lose the game. 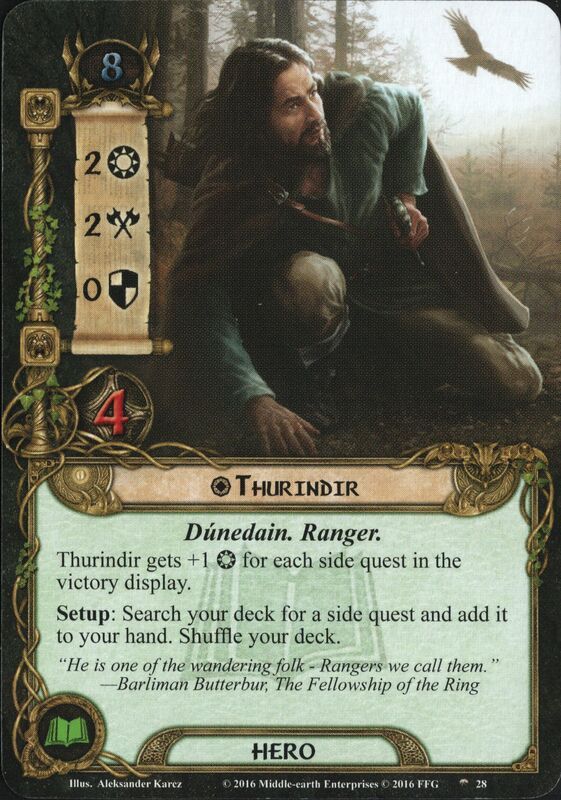 While Aragorn has an Artifact attached, he gains sentinel and does not exhaust to quest. The first player gains control of Aragorn. Action: Spend 1 resource from Aragorn's pool to ready him. (Limit once per phase.) If Aragorn leaves play the players lose the game.